Home / Press / Is Miami's Real Estate Market Flattening? Is Miami's Real Estate Market Flattening? 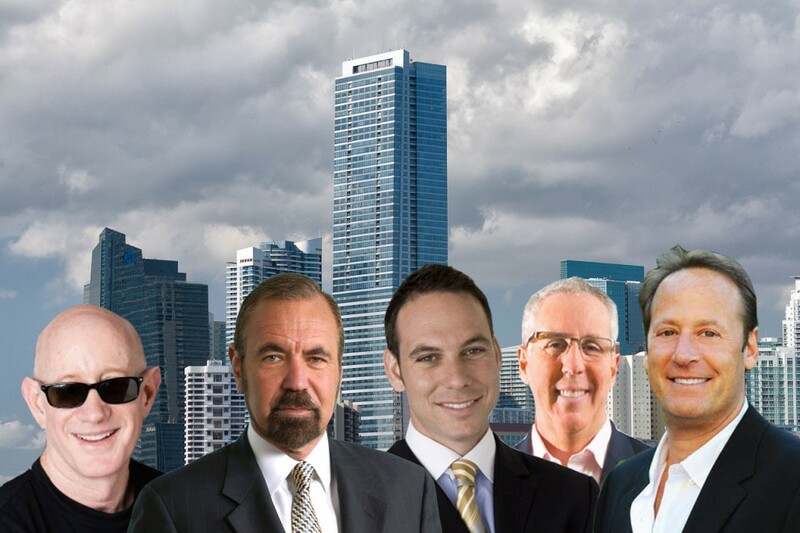 Real estate in Miami is now a flattening market, as foreign currency devaluations put a damper on spending, industry experts told attendees during a Bisnow conference on Thursday morning at the Four Seasons Hotel Miami. The correction means many projects planned for 2016 will not be built, which will lead to lower construction costs, said Kevin Maloney, CEO of Property Markets Group. The Miami market is highly dependent on foreign buyers — who make up about 80 percent of high-end condo purchases — and declining foreign currencies have had the “largest dampening effect” on the real estate market, said Related Group Chairman Jorge Perez, the event’s keynote speaker. In the last two years, for example, the price of a condo for Brazilian buyers has essentially doubled, he said, without any change in price. “That has been a major factor in acquisition,” Perez said. At the same time, economic uncertainty in other countries has helped propel Miami’s real estate, which remains a safe haven for investment. Miami is also comparatively less expensive than other major cities worldwide, Perez said. Still, a key issue remains for Miami’s future: “How do we get this market to be more local?” he said. Among Miami’s most up-and-coming neighborhoods, panelists cited Little River, Allapattah and Wynwood. “We like Wynwood as an area where locals can buy,” Perez said. “We need to create products that are affordable with the local market,” priced between $200,000 and $400,000, he said. With rising traffic and congestion, people want places where they can live and work — without needing a car, the panelists agreed. In Miami, “just like in New York, all of the urban neighborhoods will be filled in,” said panelist Tony Cho, founder and CEO of Metro 1. Meanwhile, commercial real estate prices are rising quickly. “There’s a lot of money chasing limited good property and prices are high,” said panelist Jonathan Fryd, CEO of Fryd Properties. In fact, he said he is already priced out of areas like Allapattah and Little River. In Wynwood, for example, commercial prices have jumped from $200 a square foot three or four years ago to $1,000 a square foot, Cho said. Fryd said he worries about displacement. “My concern is not what is going to be the next neighborhood, but what do we do about all this displacement?” he said. Connecting neighborhoods is a key step, said Michael Comras, president and CEO of the Comras Company, who is developing District 36 on the edge of the Design District, across the street from Midtown Miami. There’s no reason, he said, why the Design District, Midtown, Wynwood and the Arts & Entertainment District cannot all be linked.